Anchorage is located in South Central Alaska but we have given Anchorage a webpage of its own because Anchorage serves as the main entry city for most visitors and is where they experience their first contact with Alaska and Alaskans. Anchorage is the largest city in Alaska and the only city with a population over 100,000 in Alaska. Anchorage (officially called the Municipality of Anchorage) is the northernmost major city in the United States, and largest city in the U.S. state of Alaska. With an estimated 286,174 municipal residents in 2009 (374,553 residents within the Metropolitan Statistical Area), the city constitutes more than 40 percent of the state's total population; only New York has a higher percentage of residents who live in the state's largest city. Anchorage has been named All-America City four times, in 1956, 1965, 1984/85, and 2002, by the National Civic League. It has also been named by Kiplinger as the most tax friendly city in the United States. Russian presence in south central Alaska was well-established in the 1800s. In 1867, U. S. Secretary of State William H. Seward brokered a deal to purchase Alaska from a debt-ridden Imperial Russia for $7.2 million (about two cents an acre). The deal was lampooned by fellow politicians and by the public as "Seward's folly", "Seward's icebox" and "Walrussia." 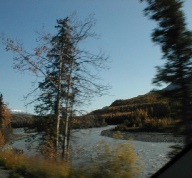 By 1888, gold was discovered along Turnagain Arm. In 1912, Alaska became a United States Territory. Anchorage, unlike every other large town in Alaska south of the Brooks Range, was neither a fishing nor mining camp. 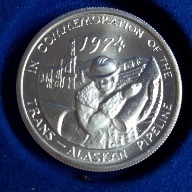 The area within tens of miles of Anchorage is barren of significant economic metal minerals; there is no fishing fleet operating out of Anchorage. The city grew from its happenstance choice as the site, in 1914, of a railroad construction port for the Alaska Railroad. The railroad was built between 1915 and 1923. Ship Creek Landing, where the railroad headquarters was located, quickly became a tent city; Anchorage was incorporated on November 23, 1920. The city's economy in the 1920s centered on the railroad. Between the 1930s and the 1950s, the city experienced massive growth as air transportation and the military became increasingly important. Merrill Field opened in 1930, and Anchorage International Airport opened in 1951. Elmendorf Air Force Base and Fort Richardson were constructed in the 1940s. On March 27, 1964, Anchorage was hit by the magnitude 9.2 Good Friday Earthquake, which killed 115 Alaskans and caused $1.8 billion in damage (2007 U.S. dollars). The earth-shaking event lasted nearly five minutes; most structures that failed remained intact the first few minutes, then failed with repeated flexing. It was the second largest earthquake in the recorded history of the world. Rebuilding dominated the city in the mid 1960s. In 1968, oil was discovered in Prudhoe Bay, and the resulting oil boom spurred further growth in Anchorage. In 1975, the City of Anchorage and the Greater Anchorage Area Borough (which includes Eagle River, Girdwood, Glen Alps, and several other communities) merged into the geographically larger Municipality of Anchorage. The city continued to grow in the 1980s, and capital projects and an aggressive beautification campaign took place.